To find your life’s purpose is arguably one of the most important and rewarding journeys you can embark on. But even asking the question can make us feel more lost and purposeless than ever. We’ve all been there. We’ve all wondered what we should be doing with our lives. How do you find your life’s purpose? We usually just get more questions. We run into roadblocks because we haven’t even decided what it really means to do things with purpose. If we don’t know what it means to live life on purpose, or what a life’s purpose is, how the heck are we supposed to know what our life’s purpose is? 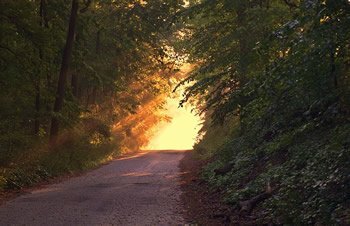 If you have asked yourself these questions before and spent some time thinking about it, you may have also come to the realization that just because we are living our life’s purpose (whatever that may be), does not mean that there won’t be struggles, sacrifices or unpleasantness along the way. When I hear the question, what should I do with my life? I hear someone who isn’t feeling like they are contributing to anything greater than themselves. I hear someone who is bored. Someone who doesn’t feel like what they are doing is enough, or matters. What I think they are really asking is, what can I do that feels important, that makes a difference, that helps other people, and that contributes to solving problems? When we reframe our purpose as not what we should do with our lives, but rather what we can do with our lives to make a difference or contribute, we dispel the illusion that living aligned with our life’s purpose will somehow transport us into a constant state of bliss and ease. When we acknowledge our life, and what we choose to do with it in the context of something bigger than ourselves, we are more willing to accept that there will be struggles and unpleasantness along the way. So rather than asking, what should I do with my life? Perhaps a better question may be, what are we willing to tolerate and what are we willing to commit to in our lives, to feel like we are contributing to something bigger than ourselves? Years ago, I was at a crossroads. I had no idea what direction I wanted to go. I was feeling so lost. I went to see a dear friend, who has now passed, and he asked me a brilliant question that changed everything. He had taken me back to a place where I was open and creative and unafraid of being different or doing things differently. As a little girl, I was never afraid of taking a step and just trying something. Before the fear, before learning what is and isn’t okay to do with your life, before self-doubt. That is what I was getting back to. That is what I needed to give space for in my life. I needed to stop and think about me, who I was, who I have always been, rather than who I thought I had to be. I have continued to ask myself this question over and over throughout the years. Since then I have realized my own path. It is my purpose and pleasure to work with people to rediscover this sense of vulnerability and openness. I help them remove the blocks that stop us from accessing this deeper, this truer, more authentic and open self. As ‘life’ happens to us, we lose this sense of self, or quite simply block it out. Without this sense of vulnerability and openness, we are cutting off a piece of ourselves and blocking ourselves from discovering the purpose or meaning in our life. What is my purpose in life? To Find Out, Take Action. Are you ready to find out what life’s purpose is? Finding your life’s purpose is about finding a problem that you can solve. It is about finding a way to contribute. And it can only be found through action. Action is what inspires our passion—it is how we find out what fuels us. Finding your passion, which is a result of your actions, will help you connect with what it is you care about so deeply that it pulls you into action. The more you can connect with what it is you care about, and the things that pull you into action, the faster you will find your life’s purpose. It starts small. By just taking action and noticing what fuels our passions, we can begin to see what our bigger mission is. By having a mission, by dedicating yourself to something bigger than yourself, you will grow into your life’s purpose. Each and every one of us has that within us. We all have a mission. We all have a purpose. Now maybe we want to be able to contribute, but we don’t know how, or we don’t feel confident enough, or don’t feel empowered. But taking action, finding your passion, and having a mission is vital for us living up to our potential, knowing what to do with our lives, and living life on purpose. The sooner you do this in life, the sooner you take action, the sooner you can begin to align your life with your passions and mission. That might mean changing careers or contributing in a much different, more empowered, way. The sooner you do this, the sooner you will have the opportunity to feel fulfilled. That opportunity to feel fulfilled is available for all of us. So do you feel like you’re fulfilled with what you are getting up every day to do? Are you fulfilled in your relationships or career you have chosen? Is your well-being suffering because of the choices you are making? Is the way that you have decided to live your life aligned with your passion? Are you unwell because you are so against who you really are in your career or your job? Are your relationships aligned with your purpose? Are they feeding your passion? Is your life structured so that you can take care of yourself, and your body, so that you can live to your highest purpose? What would 7-year-old you say? What would they do? These are hard questions for all of us. And maybe we don’t like the answers, or we aren’t sure how to answer. 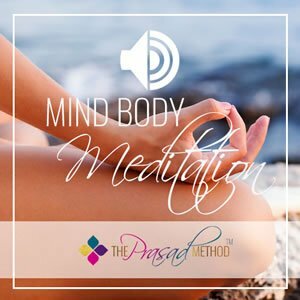 I invite you to contact me so we can talk more about aligning yourself with your life’s purpose by emailing me at info@theprasadmethod.com. I also encourage you to share this with someone who you think might be a bit lost and is searching for their purpose. Please comment below and let me know, how did this make you feel? Do you feel like you are living your life’s purpose?